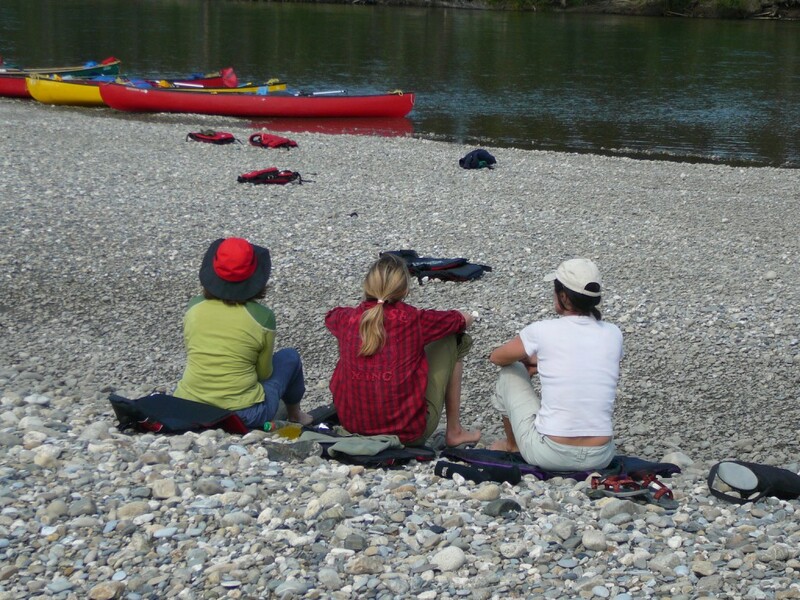 Join us on this great canoe trip on the rarely traveled upper Liard River. A float plane will bring us to Caribou Lakes where we’ll spend our first two nights. Before we set out on the river, we’ll practice our paddling strokes, explore the small lakes and enjoy the quiet of this remote wilderness. During our first day on the river we’ll travel down Caribou Creek, a small and shallow creek where we may have to line the canoe. The crystal clear water, great fishing, ample wildlife including a wide variety of birds make this trip very special indeed. This tour is in cooperation with other local operators. Day 1: Individual arrival in Whitehorse. In the evening meeting for the trip briefing. The rest of the day is at your leisure. Day 2: Today we’ll fly by float plane to the headwaters of the Liard River. This flight offers incredible views of the Teslin and Nisutlin Rivers and the various mountain ranges in between. 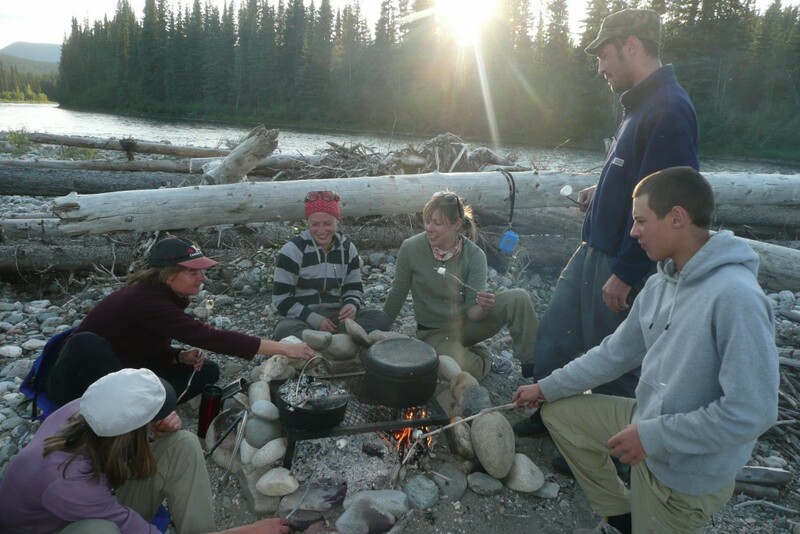 We’ll set up our first camp on the shores of Caribou Lakes – a great spot for exploring the surrounding lake system. 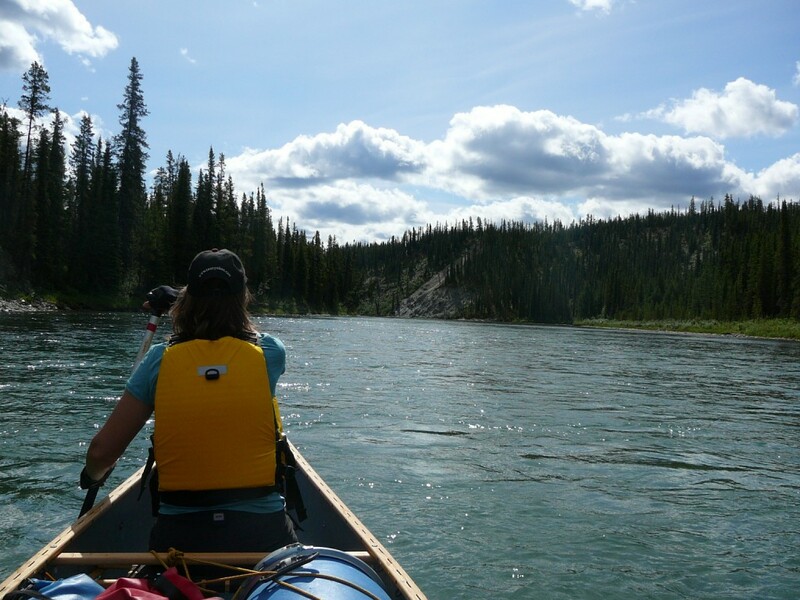 Day 3 to 10: We’ll practice and play around on the lakes at the headwaters of the Liard River for a full day before setting out on our river adventure. The next day we’ll paddle down a small creek. Depending on the water level, we may have to line our canoes. 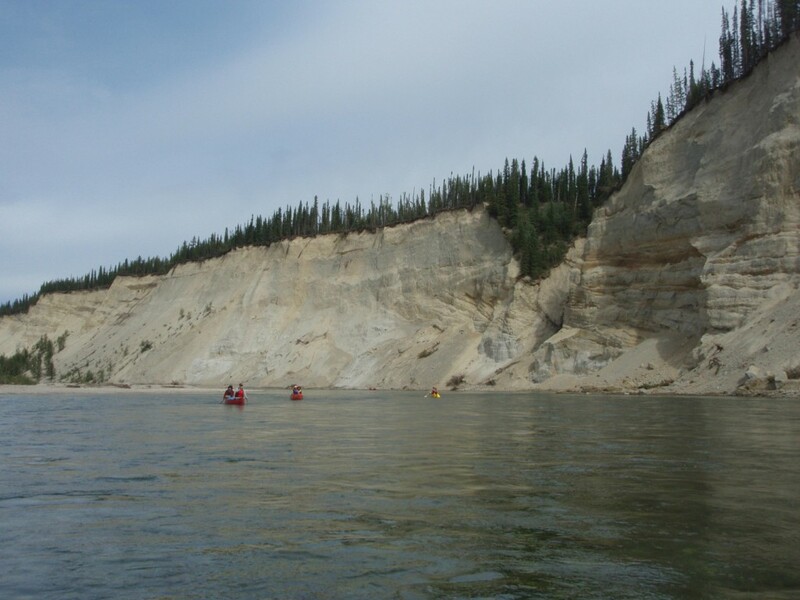 Once we are on the Liard River, the increased water flow will add momentum to our paddling experience. We will not encounter rapids, but we will have to be alert for sweepers, log jams or unexpected gravel bars at all times. This river is seldom traveled and therefore our chances of seeing wildlife are very good. We’ll look for moose, grizzly and black bear, dall sheep and beaver. We’ll also see many birds such as eagles, mergansers, geese, various ducks and shore birds. Day 11: Our last day on the river brings us to the small native settlement of Upper Liard and the bridge of the Alaska Highway, about 10 kilometres west of Watson Lake. Here our canoe trip ends and we’ll load up the waiting van. In the afternoon we’ll drive back to Whitehorse (440 Km, 275 miles) and you’ll stay one more night at the Hotel in the heart of town. Day 12: The hotel bus brings you to the airport in time for your flight or you’ll take off on your next adventure. Cancellation & medical insurance: We strongly recommend you purchase adequate insurance coverage at the time of booking.